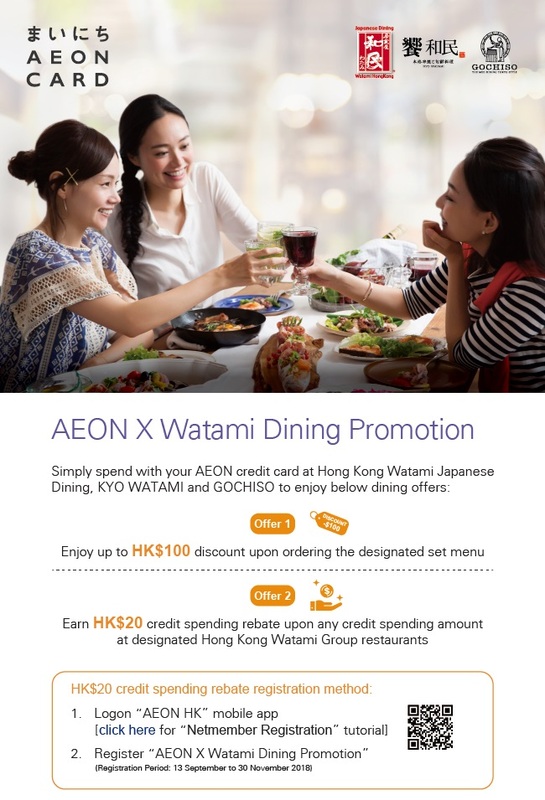 A dining promotion on set menu has launched in both Watami and KYO WATAMI restaurants. By using AEON credit card to pay the bills, you can enjoy up to $100 discount on the relevant dinner sets. Also, by registering a proper transaction using the AEON HK app, a $20 credit rebate would be earned.